Hi, this graphic overlap started this morning. Cleared my browser cache/history, the problem remains. Pls have a look. 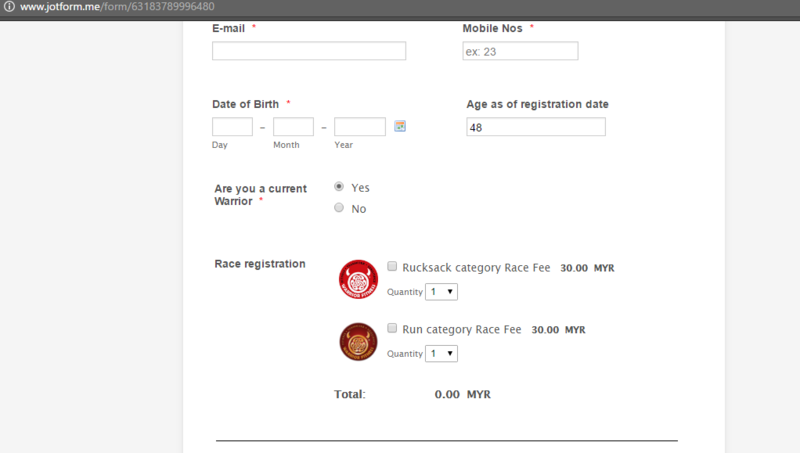 I checked your form (http://www.jotform.me/form/63183789996480) and here's what it appears on my end. Are you still experiencing the problem? If your form is embedded on a website, can you please share with us your site's URL so that we can further check? Thanks for the checking, Yes, the overlap issues is still there. 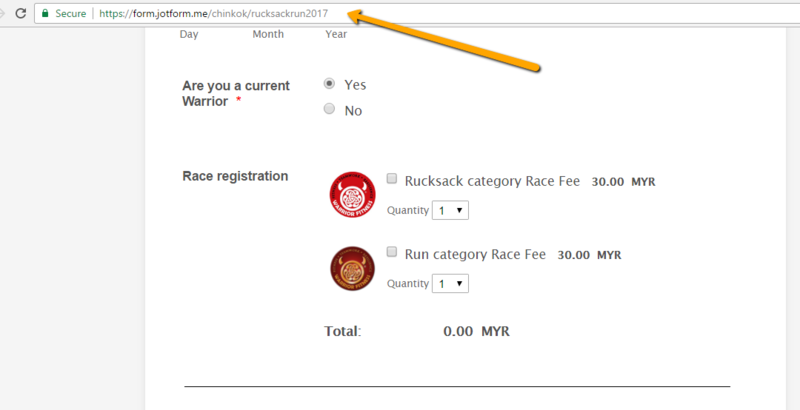 I have checked your form using the link: https://form.jotform.me/chinkok/rucksackrun2017 but I am still not able to replicate the issue. 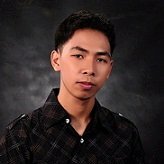 I have already cleared your form's cache to refresh your form from our server. Please also try clear your browser's cache or try a different browser to see if the problem still occurs.